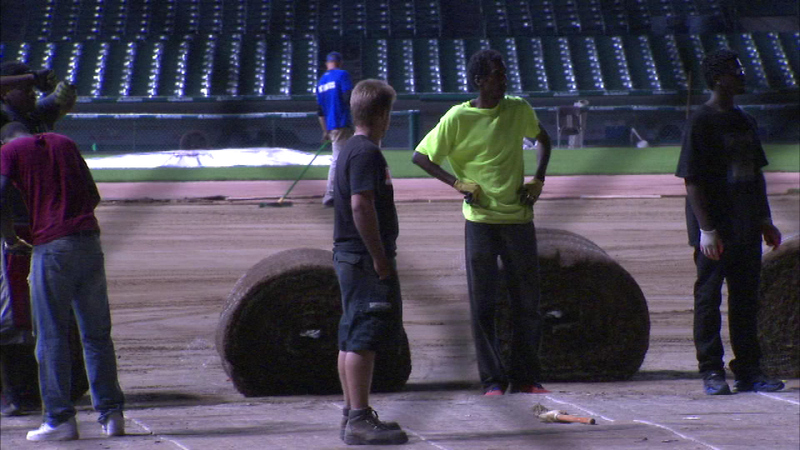 Sod was rolled out at Wrigley Field after two concerts in five days. CHICAGO (WLS) -- The Chicago Cubs are cleaning up Wrigley Field after two concerts in five days. Sod trucks lined up outside the friendly confines on Wednesday night. The outfield needs a little TLC after the Zac Brown Band and AC/DC concerts. The Cubs are back at home on Friday.